Nose: Vibrant raspberry – fruity, plump and slightly tart. Very jammy with vanilla. A raspberry Victoria sponge. Palate: Authentic raspberry notes upfront: sweet, with a lightly sour tang. Baking spice and crème brûlée follow with a mix of raspberry leaf and pine. Finish: A dry finish that lingers on the palate, but without any cloying character. Comments: A well-balanced liqueur that is not too sweet and captures the true character of the fruit. Nose: Heavy, sugary sweet, but distinctly raspberry, with rosemary, honeysuckle and fresh cuttings. Palate: A thick, honeyed mouthful but the candied sweetness is balanced with acidity and ripe raspberries. Finish: Long, sweet and sticky. 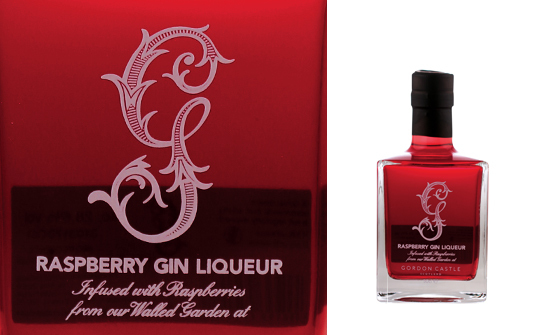 Comments: The clear and brilliant crimson colour of this gin would add something special to any cocktail. However, I would choose to serve it topped with Prosecco in flute glasses. Alternatively, simply pour over ice and enjoy with a chocolate or choco-mint on the side.